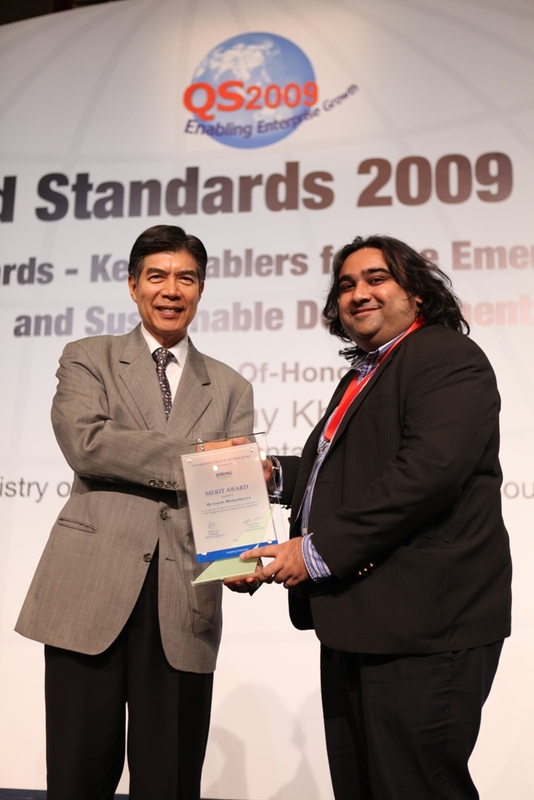 Mr. Saurav Bhattacharyya, CEO, Quantum Inventions, was presented the Standards Council Merit Award under the auspices of Spring Singapore on 18th November 2009. The award was in recognition of meritorious service and contribution to the Singapore national standardisation programme. The award was presented by Mr Edwin Khew, Chairman, Standards Council â€“ SPRING Singapore, CEO/MD of IUT Global Pte Ltd.
Quantum Inventions is in the business of delivering routing and navigation applications, services and solutions to consumers and enterprise customers in the area of map-based solutions, in-car navigation and location/context sensitive purposes. The company works towards being an integrated global solution provider of real-time road/motorist information and applications, and seamless converged solutions for road user on mobile, web, in-car systems and location based applications/services.